You might want to check out some of our favorite customer photos, our tips for styling a collected console, and some side table and light combinations for every style. We love how Emily Henderson used neutrals and greens to get her space holiday ready. It's soft and natural, we love how she doesn't overdo it. The architectural details here are too good. Love those natural wood beams and exposed brick! 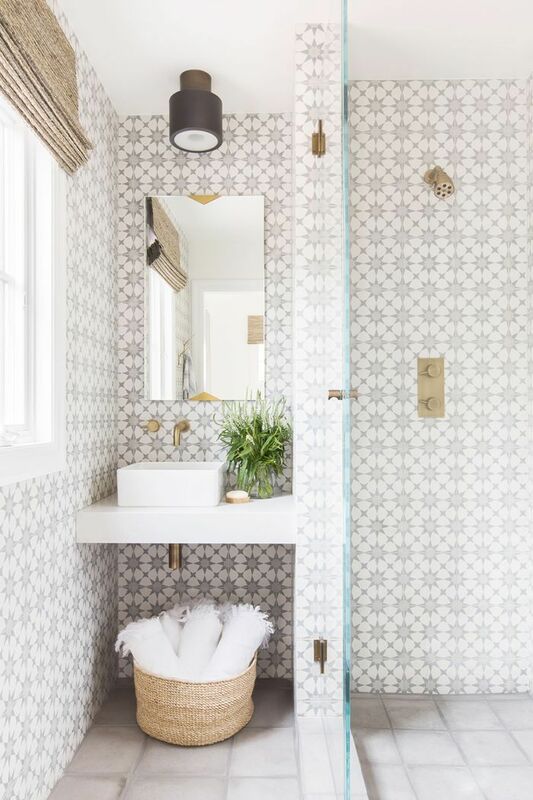 Now this bathroom has us ready for a vacation to Spain! 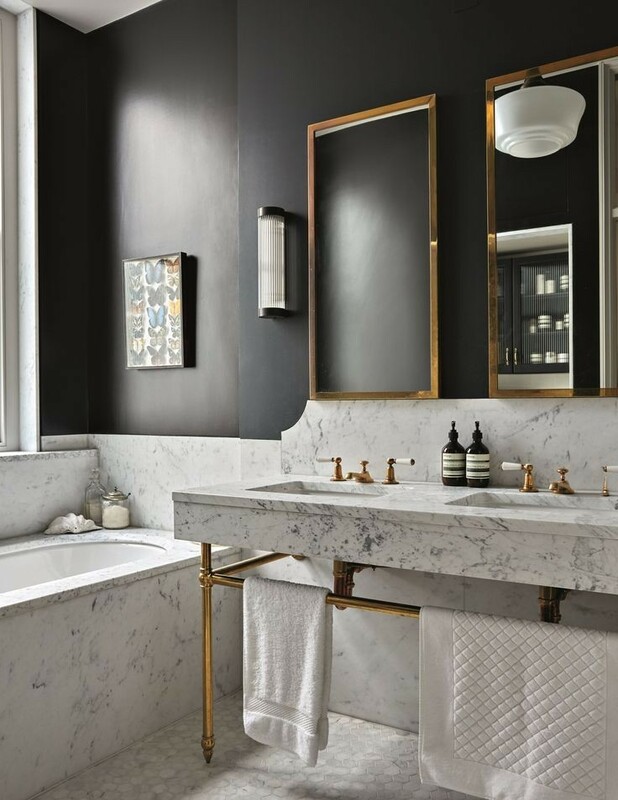 This bathroom is chic and luxe, and is sure to give you a spa-like experience.